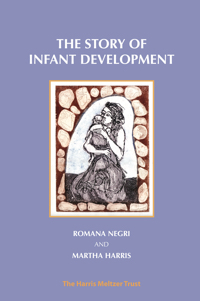 Romana Negri graduated in medicine and trained as a child neuropsychiatrist at the University of Milan. From 1970 onwards she attended the seminars of Martha Harris and Donald Meltzer and commenced work projects inspired and influenced by their teaching. 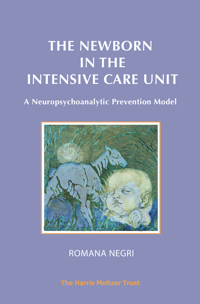 From 1976 to 2004 she was a consultant in the Special Care Baby Unit at the Caravaggio Hospital, Treviglio, publishing some of her research findings in The Newborn in the Intensive Care Unit. Since 1982 she has been a professor at Milan University, teaching in the paediatric department of the School of Medicine and the School of Psychiatry and Psychology. She is also responsible for early pathology consultation at the Sacco Hospital in Milan. She has published over one hundred papers in the field of early psychopathology and child psychiatry in Italy, Germany, France, Spain, and England.